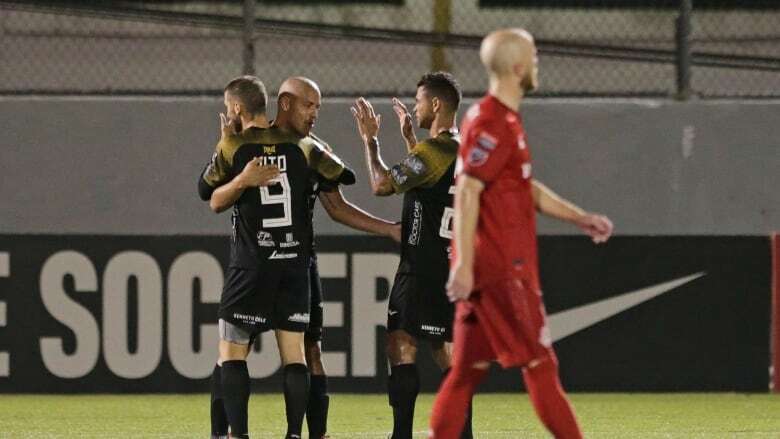 A sluggish Toronto FC suffered a nightmarish start to its Scotiabank CONCACAF Champions League campaign in a 4-0 loss Tuesday to Panama's Club Atletico Independiente de la Chorrera in a round-of-16 game. The MLS side, which made it to the final of last year's competition, has dug itself a deep hole it will try to play its way out of in the Feb. 26 return leg at BMO Field. Unable to register a valuable away goal Tuesday, it will need a scoring spree. The knockout tournament features 16 top club teams from CONCACAF, which represents North and Central America and the Caribbean. The winner advances to the FIFA Club World Cup. Romeesh Ivey had two goals and Abdiel Ayarza and Omar Browne also scored for Independiente, which sits second in the Panama league standings with a 2-0-1 record. On their home turf, the Panamanians' pace gave the visitors trouble all night. It was the first competitive game of 2019 for Toronto, which has seen star striker Sebastian Giovinco and Spanish playmaker Victor Vazquez depart for greener pastures (Saudi Arabia and Qatar, respectively). Toronto is actively looking for marquee replacements.